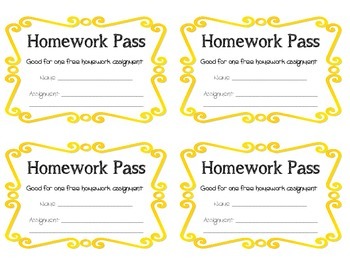 "Good for one free homework assignment!" AND "Good for one lunch with the teachers and a friend of your choice!" Use these fun passes to reward students for good deeds, goal completion, or however your heart desires! 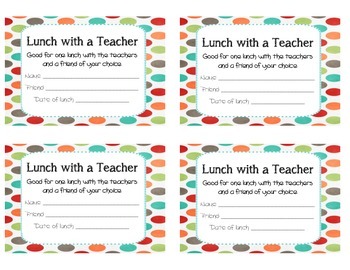 These rewards are a huge hit in our classroom.